Gemma Arterton, Idris Elba, Tom Cullen et al. 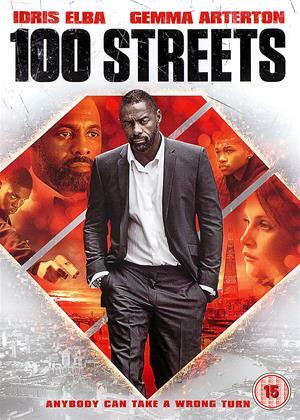 In this pulsing crime thriller, Ex-England rugby captain Max (Idris Elba) is on the brink of a meltdown and risks losing his wife Emily (Gemma Arterton) and children after a string of drug-fuelled affairs. Meanwhile, George (Charlie Creed-Miles) is a taxi driver jolted into an unexpected nightmare; and Kingsley (Franz Drameh) is an ambitious drug dealer who wants to swap the streets for the stage. As tension mounts, relationships are strained, loyalties are tested and violence erupts. The film's well acted and looks like it was done on a fairly low budget, but the individual stories all come together to an interesting conclusion. Well put together and a realistic drama.